Renting to own a home in Hawkinsville, Warner Robins, Perry, or any city for that matter, isn’t a new concept… but the whole process of “renting to own a house” is a process that most people have questions about. 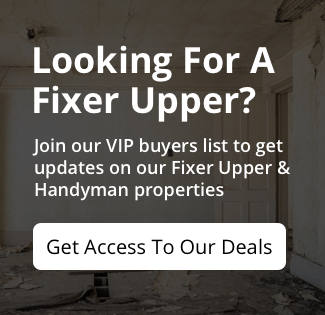 This article will walk you through what to look for if you’re looking for Hawkinsville, Warner Robins, Perry rent to own houses. Not all rent to own houses in Hawkinsville, Warner Robins, Perry have the same contract that goes with them. So make sure to find out the terms of the rental agreement and the terms of the purchase option as well. Usually the monthly rent tends to be a bit higher with a rent to own agreement vs. a normal rental agreement… because you’re basically paying a premium for the ability to potentially purchase that house at a pre-determined price in the future. There’s a lot of value in that. One of the big benefits of a Hawkinsville, Warner Robins, Perry rent to own home is the ability to lock in a home at a set price well in advance of you having to purchase it. Because of this the purchase price usually doesn’t come at a discount for you… but, if you buy in the right Hawkinsville, Warner Robins, Perry Georgia neighborhood (one that is increasing in value)… you could be earning instant equity if you decide to purchase the home at the end of your rental term. If you still have questions about the rent to own process just call us anytime at (478) 273-0062. And if you want to be put on our local Hawkinsville, Warner Robins, Perry Rent To Own Home List click the link below to see what’s available.